All that back there on Friday? That was nothing. Forget about it. It was just Robert Mueller’s warm up act, to throw Donald Trump off his game heading into his Vladimir Putin summit. Sure, the indictments of twelve Russian government spies served the legal purpose of establishing a criminal conspiracy. The timing was what mattered, though, because it was all about making sure Trump and Putin spent their summit playing defense. Now that the summit is coming and going, here comes the fun part. We now know that Mueller is actively seeking to derail Donald Trump’s failing presidency. He dropped those indictments on Friday just to screw with Trump’s summit. But now that Trump and Putin are busy spending their private meeting plotting a strategy to deal with the Russian hacker indictments, Mueller gets to make the next move. The minute Trump is on his plane ride home from the summit, Mueller can, and probably will, change the entire script. That way, whatever strategy Trump and Putin just came up with will go out the window. Trump will be left trying to fend off Mueller’s surprise left hook, without the ability to go back and discuss it in person with Putin again. 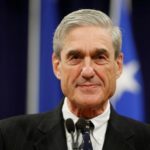 So what is Mueller about to do? Indicting and arresting Roger Stone would be the most obvious move, based on his appearance in the Russian hacker indictments, and the fact that Mueller has been hauling Stone’s associates before a grand jury for a couple months now. But the obvious move might not be what throws Trump the furthest off his game. So we’ll see what Robert Mueller has up his sleeve next. But it’s now clear that he isn’t just looking to serve justice in a clinical sense. He’s actively screwing with Trump to try to knock him off his game, leave him defenseless, and take him down. Mueller’s followup move after the summit is going to really screw with Trump. If we don’t know what it is, then neither does Trump, and that’s the whole point.